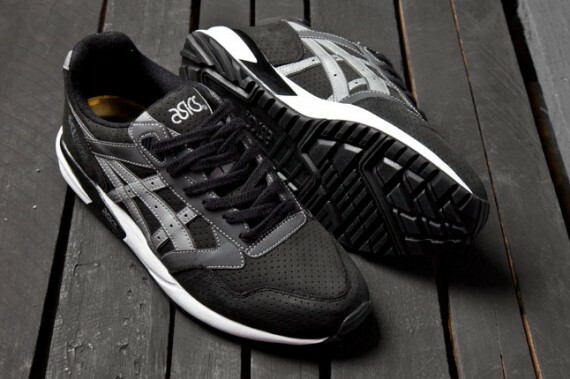 In 2013, if you see a queue outside a shop and someone says that it’s for an ASICS, you don’t fall back in surprise. In fact you almost expect it. In this era where Patta, Ronnie Fieg and a whole host of other collaborators are partnering to give late 1980s and early 1990s technical running a push like never before, we recently wandered into a store to pick up some Jordans and were told that sizes were still available because kids went straight to the Slam Jams came out the same morning. That’s kind of amazing. In a world where people lose their mind over technical running designs, ASICS’ lifestyle wing is destined to be one of the kings of the castle. When we saw the Nike Air Base II retro we were sure Nike Sportswear was responding to the popularity of silhouettes like the Gel Saga, and it’s doubly curious given Nike’s origins as BRS in partnership with Onitsuka Tiger (who turned into Tiger ASICS in the late 1970s). While this whole shoe thing tends to operate in cycles, other than its retro status, ASICS hype is something different and a hint that the new breed of hoarder isn’t as close-minded as the over-excitable stereotypes suggest. While the Gel Saga II was never a shoe that had us too hyped back in the day, we respected the black and grape colourway a great deal and Jay in ‘Clerks’ wore that thing well. The original Gel Saga dropped in 1990 as a mid-price alternative to ASICS’ fancier offerings, but 1992’s Saga II took the formula and elements like that heel tab and branded midsole and made it all a little sleeker and a little more detailed to give the Saga its own identity. The smaller women’s Saga II sizes seemed to have a different midsoles with the tunnels in the midsole that the old X-Caliber had. The Gel Saga might have gotten a little puffier in its advancing years but it’s a more appealing prospect to us — this high mileage design’s Gel heeled comfort and that matter-of-fact heel branding beats the same old crap, and ASICS’ legitimacy can never be questioned.